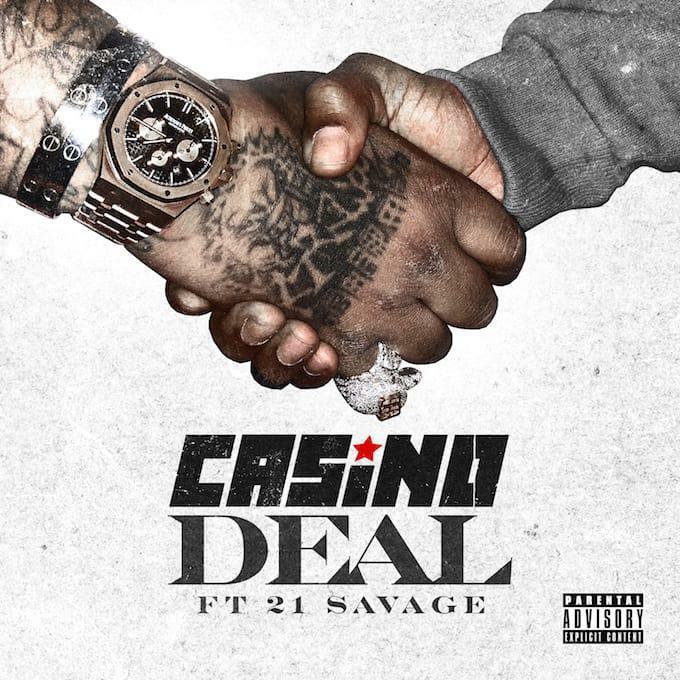 Home>New Songs>Casino Songs> 21 Savage Joins Casino On "Deal"
Casino's been bubbling up for a minute now. It's been some time since we've heard something from him but he's dropped off some dope features, specifically on Young Scooter's Trippple Cross project as well as on Ralo's "Red Dot" song along with Young Thug. We haven't heard much solo work from him in a minute but today, he comes through with a new single with one of Atlanta's hottest rappers right now. 21 Savage and Casino get together on their new single "Deal." It's a heavy street banger that serves as a single off his upcoming project, Disrespectful. The two rappers connect to flex their bank and jewelry over the gritty production on the track. "Deal" serves as the first single off his upcoming project Disrespectful. Keep your eyes peeled for that. Smoke DZA & Joey Bada$$ Go Back In Time To Recreate "The Mood"
Lil Durk Flips A Classic Bone Thugs Song In "Cross Roads"
SONGS 21 Savage Joins Casino On "Deal"